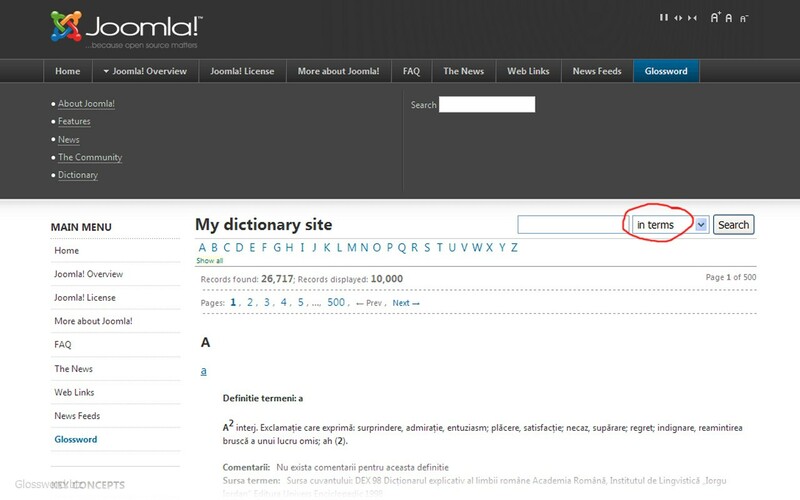 The possibility to search in terms (by default) and in definitions separately. The most of dictionaries are not so large, so searching in both terms and definitions is better for them. 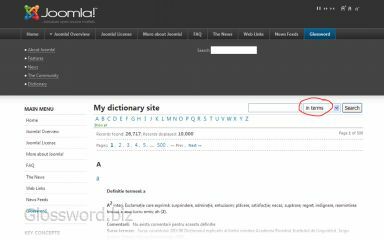 With this, Glossword may search in Terms only as well as in Definitions only. I left this option for future versions, because no one ask for it before.